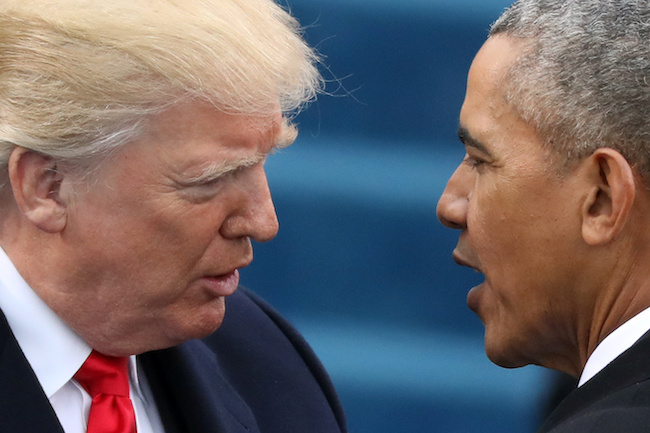 If Democratic candidate Hillary Clinton had won the 2016 presidential election, former President Barack Obama reportedly had a plan to counter any objections from then-Republican candidate Donald Trump. Senior Obama officials huddled in October of 2016 to discuss what to do if Trump alleged Clinton had stolen the election because it was “rigged,” according to the New York Magazine. The idea was to put together a bipartisan panel of political voices that would bestow their respective blessings on the election result. Obama insiders, including communications director Jen Psaki, sought the approval of Republican “Never Trumpers,” like former Secretary of State Colin Powell and Bush-era National Security Advisor Condoleezza Rice, to override any talk of an illegitimate election result. “We wanted to handle the Russia information in a way that was as bipartisan as possible,” senior Obama aide and speechwriter Ben Rhodes told New York Magazine.